In Fall 2018 Amazon announced Long Island City would house its new headquarters, HQ2. New York City and New York state have also agreed to provide $3 billion in tax incentives and grants to Amazon to build it. Gov. Andrew Cuomo has said that Amazon’s presence could generate as much as $27.5 billion in new state and city tax revenue over 25 years, and LIC is now touted as one of NYC's hottest up-and-coming neighborhoods. 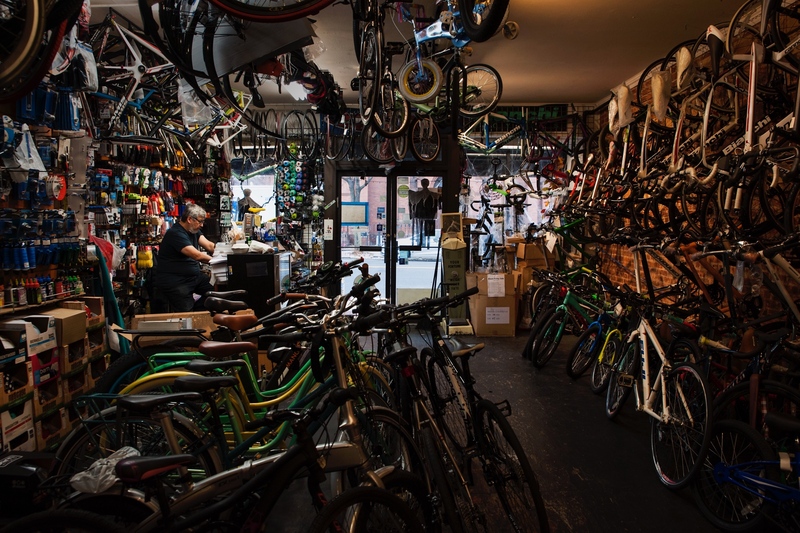 I had the opportunity to photograph small businesses and businessowners in Long Island City in anticipation of the arrival of Amazon's HQ2 in the neighborhood. One might expect Long Island City’s shopkeepers would be thrilled to welcome Amazon. While business owners are expecting the development to bring new customers — an estimated 25,000 Amazon.com Inc. employees who will be shopping in LIC — it is still Amazon, their chief adversary. This story was published on The Wall Street Journal on November 27, 2018. 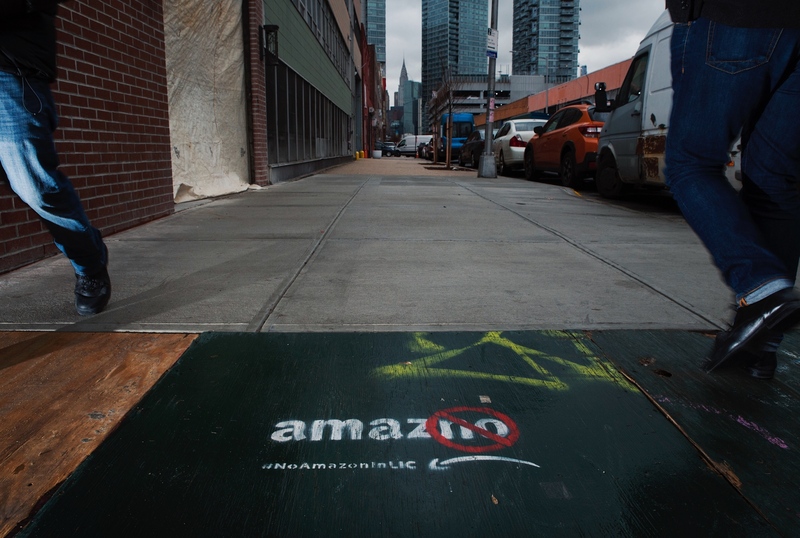 Pedestrians pass by a "AmazNO -- #noAmazoninLIC" sign on 5-98 46th Avenue, Long Island City, NY, along 46th Avenue on November 26, 2018. Visitors peruse Book Culture LIC, in Long Island City, N.Y., where Amazon plans to build one of its two new headquarters. 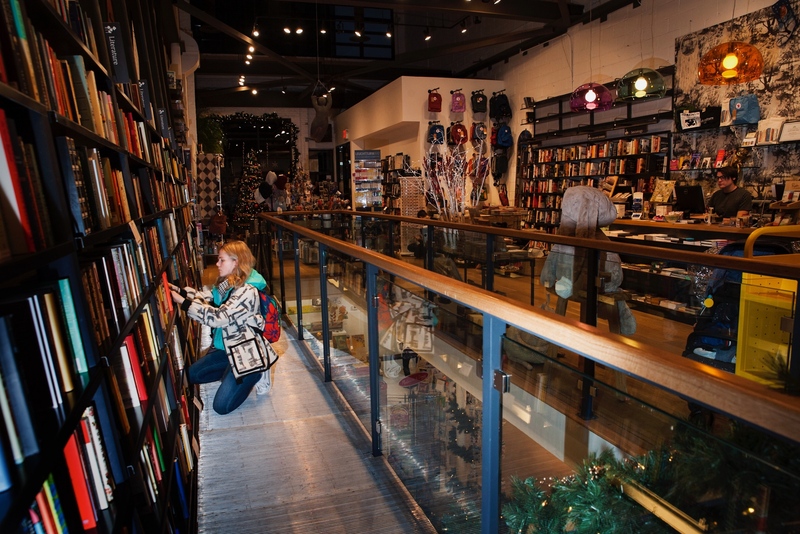 Bookstore owner Chris Doeblin is not a fan of Amazon—he’s been struggling to survive alongside the online retailer for roughly two decades. “Our relationship to them has been being squashed,” he said. But now, Book Culture LIC, his store in Long Island City, Queens, is likely to get a boost from the 25,000 Amazon.com Inc. employees who will be shopping the neighborhood after the company opens one of its new headquarters there. “I have a lot of different reactions,” said Mr. Doeblin, 58. Milan (pictured) and Jarka Uherik opened Slovak-Czech Varieties on Jackson Avenue 15 years ago. 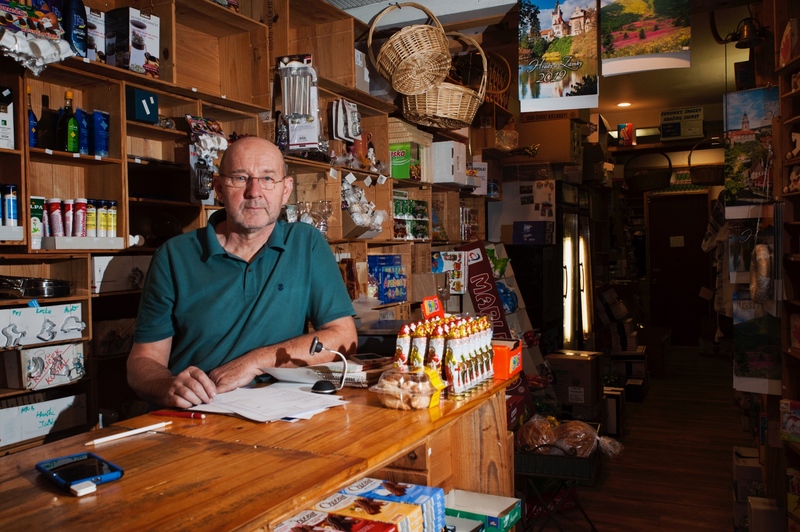 They welcome shoppers from across the tri-state area and do a steady online business selling sweets, toys and books they import from Central Europe. But there is one sort of shopper they do not see: wealthier, new residents of the waterfront, where the median household earns $133,000 a year compared to $52,000 in the rest of Long Island City, according to U.S. census data. They doubt the Amazon crowd will be different. Maybe, Mr. Uherik jokes, Jeff Bezos will buy them out. “If Amazon wants to take over, I’d like that,” he said. Carlos Dall’Orso opened Spokesman Cycles in 2006. As families flocked to the area’s glassy new high-rise rentals, he added more children’s bikes and accessories. But he can’t always compete with Amazon on pricing. 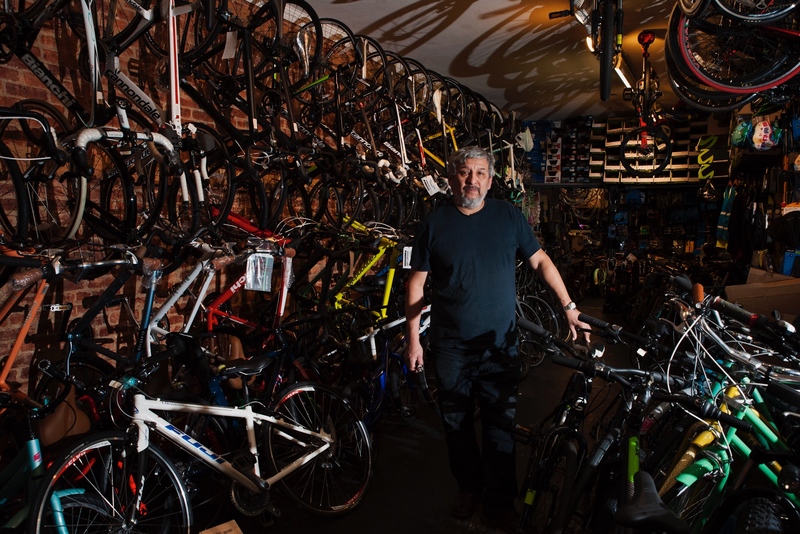 “People come in for repairs and service,” he said, describing how his business stays afloat. Dall'Orso hopes Amazon employees will patronize his shop. 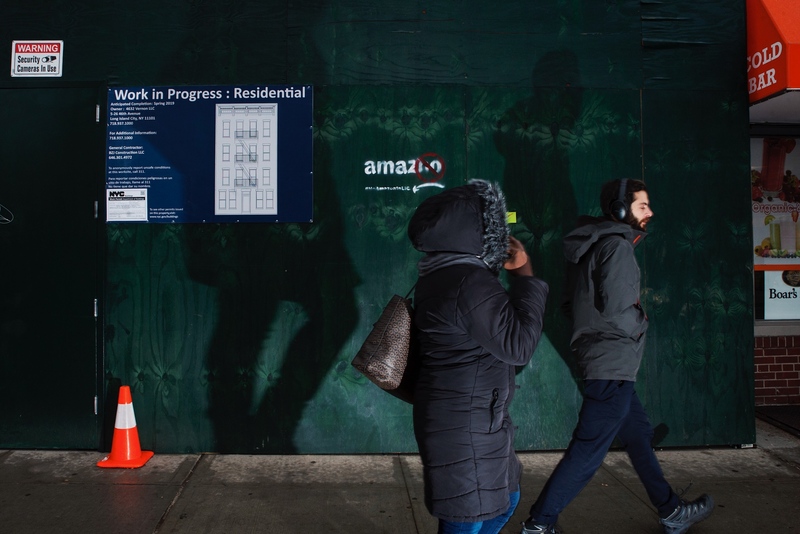 Pedestrians pass by a "AmazNO -- #noAmazoninLIC" sign on 5-98 46th Avenue, Long Island City, NY, along Vernon Blvd on November 26, 2018.